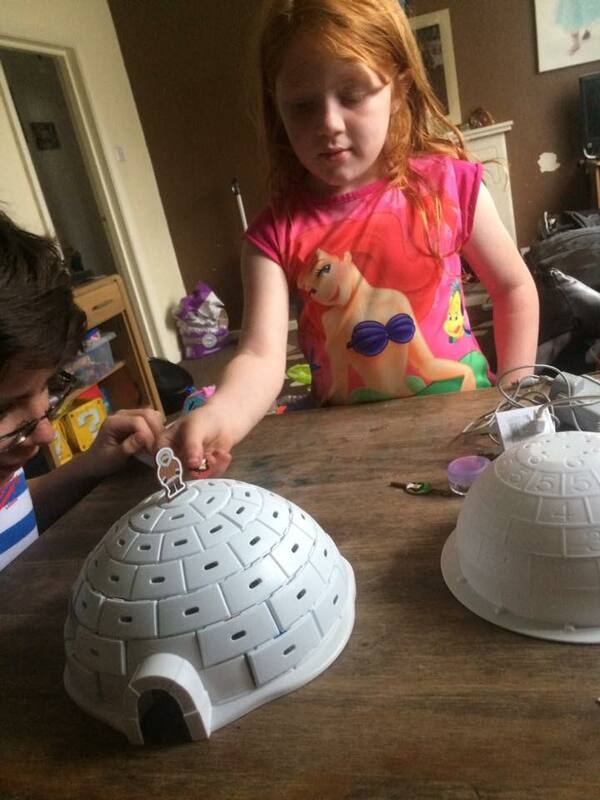 With the Summer holidays in full swing, it's so hard to try and entertain the kids 24/7. 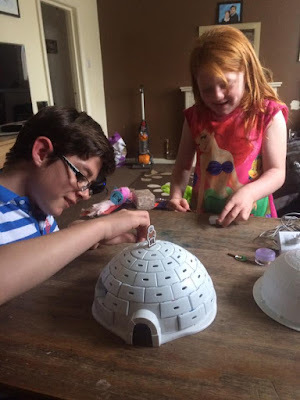 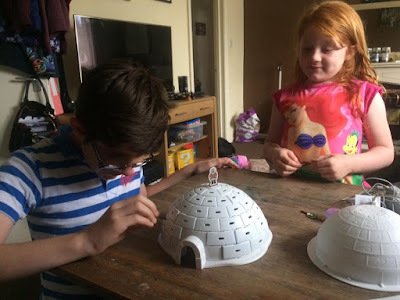 With the weather being dreadful we was really excited to receive the Igloo Mania Game from Brainstorm Toys. 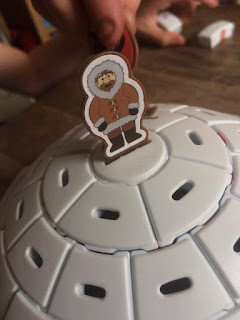 The game is for 2-4 players and it's really simple to play. 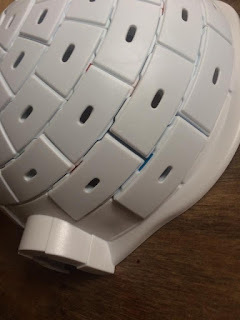 You start off with assembling the igloo and putting the number stickers on the ice blocks, the numbers are inside the ice blocks so it's easy to do. 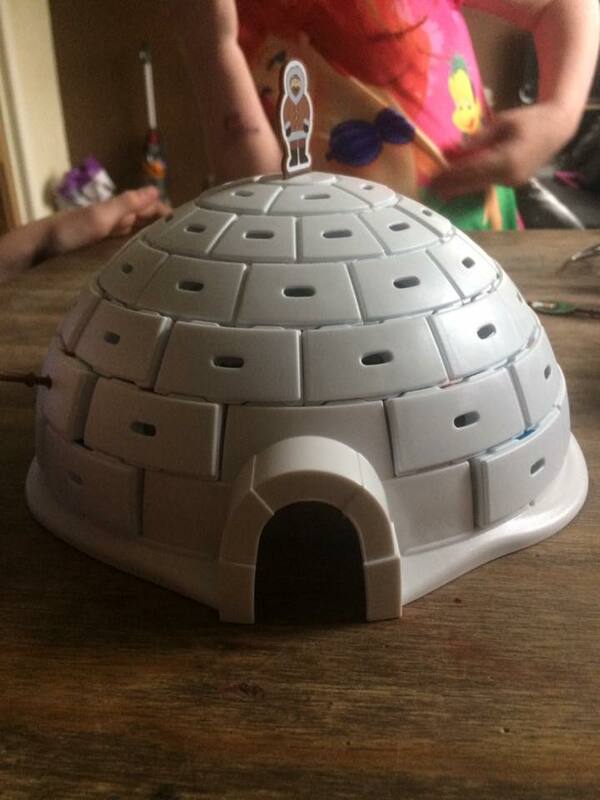 Once all the stickers are on the blocks, you build the ice blocks in number order going around the igloo. 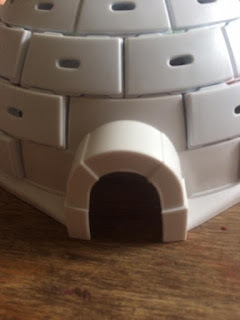 Then you place Esimoko Parker Pete on the top and slide out the built up igloo from the plastic one. As it's all built it stays together fully formed. 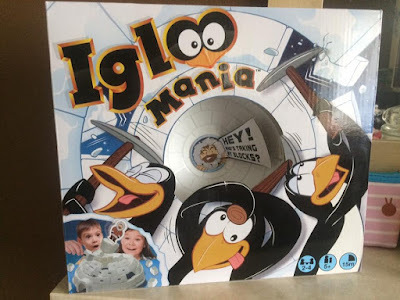 Each person has a different colour penguin picker an sthe object of the game is to each pick an ice block and pull them out without making Parker Pete come tumbling down. 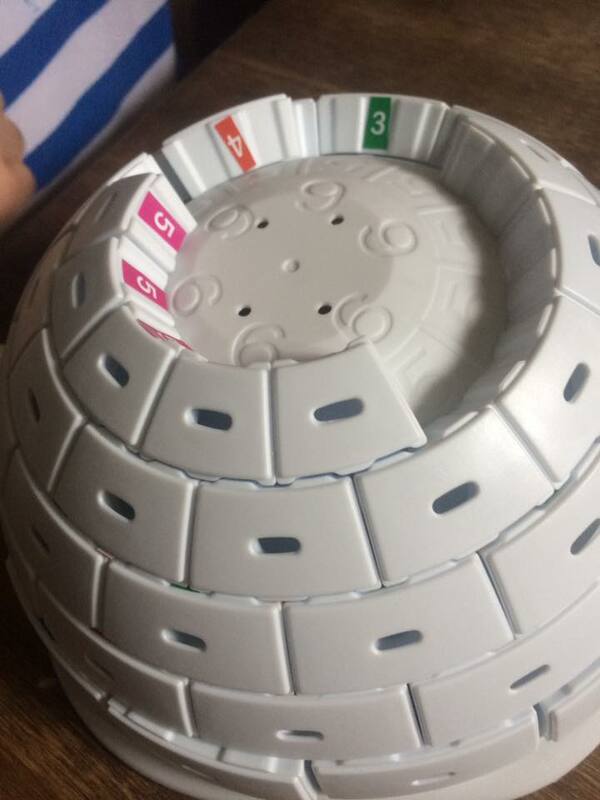 Initially the game takes longer to set up than to play we have noticed. 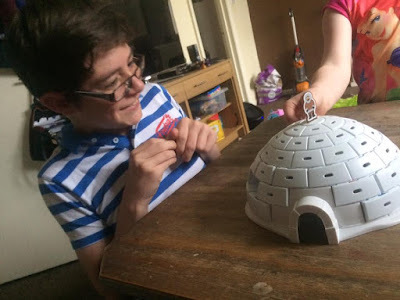 The pieces also have to line up with the igloo as if you don't, when you try and slide it off the base they will just fall.